Navigation has always thrilled me using maps, a compass, GPS or the stars. 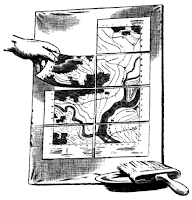 Using a standard USGS topographic map is especially a pleasure because it is like hiking through the woods holding a piece of art. They are as beautiful to me as the surroundings themselves and often contain treasures on the landscape that do not show up through other methods of navigation. An original article by T. Fegley, Field and Stream Magazine, 1971. Reproduced verbatim, and by permission for preservation of this skill. With more and more people taking to the out of doors and many wishing to get away from it by all exploring new territory, topographic maps have gained a new popularity. Similarly, hunters, fisherman, hikers, backpackers, snowmobilers, and Jeep-born navigators rely on their maps in the field and constantly use them for reference. As new trails are discovered and plotted, the map becomes a tool matching the compass in value. 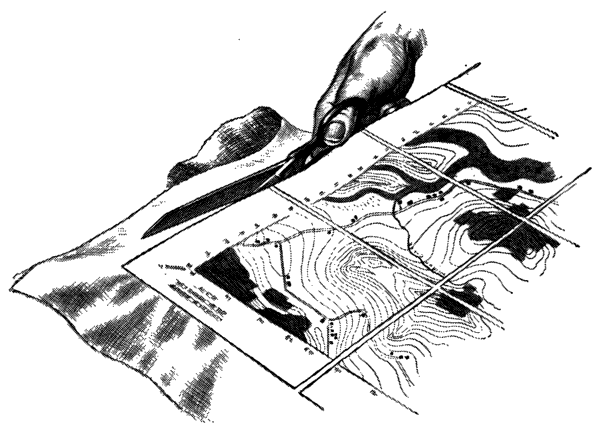 Although the cost of a topo map is small, constant replacement of heavily-used maps is unnecessary if you take 30 minutes or so to reinforce them with a cloth backing. It is easy and inexpensive and will give more mileage to your valuable silent guides. 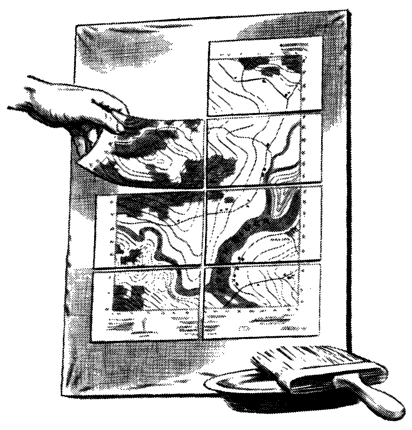 Basic equipment for mounting your topo includes scissors, a yardstick, razor blade cutter, two pans, commercial wall paste, paintbrush, and backing material such as an old starch-free muslin sheet. 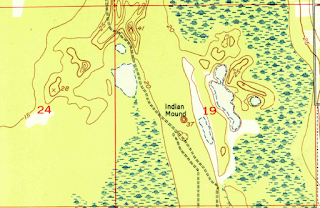 The sheet must be larger than the map since it is stretched and tacked along the edges. A smooth, tight surface can be had by fitting the sheet over a straight edged piece of plywood and tacking it on the opposite side after stretching. 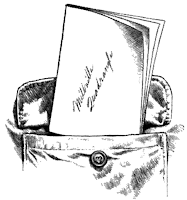 Fold the map so that it fits conveniently in your coat pocket. Unfold and cut the map carefully along the folded lines with a razor blade. Since the larger 7 1/2 minute maps may require more folds to get to pocket size, only the creases of the larger sections need to be cut. It is unnecessary to divide the map into too many small segments. Float the pieces in a pan of warm water for about a minute. With a brush, apply the paste to the back of each section and position them on the sheeting about 1/8 inch apart. The paste should be completely free of lumps before applying. After mounting the sections in their proper order, clean off the excess paste with a damp cloth. 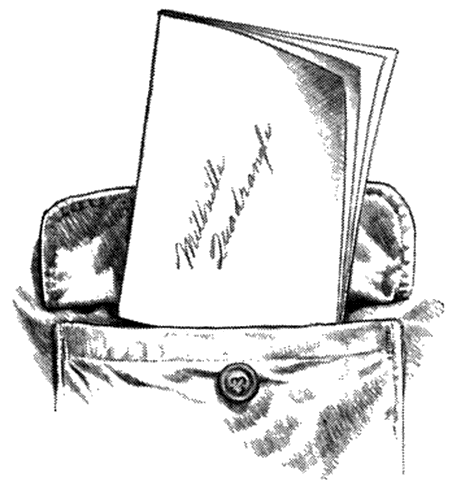 A gentle pressure will assure a contact between the paper and cloth. The map must be allowed to dry slowly and thoroughly for 24 to 48 hours depending upon drying conditions. 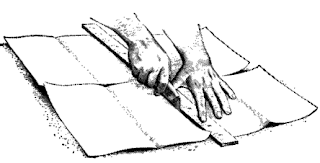 When the map is completely dry, cut it from the board and trim along the papers edge to keep the cloth from fraying. Should any of the maps edges lift after use, a bit of white glue will do the trick. Your reinforced map is now ready for many hours of use and should stand hundreds of foldings. Along with a compass it will provide pleasure and safety for your travels into the wild. 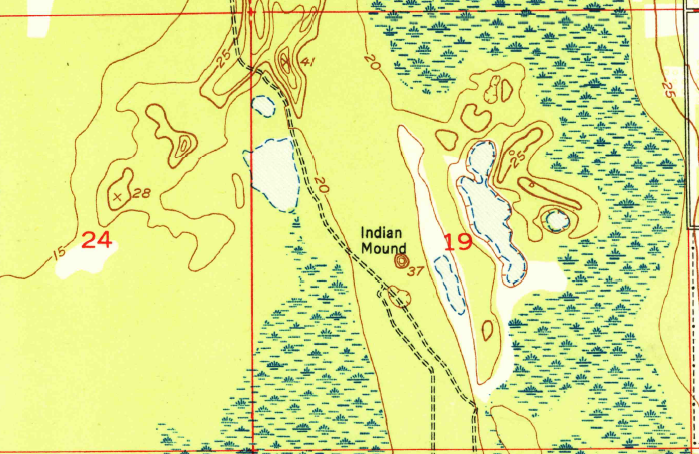 Tom Fegley, “Maps for Going Afield”, Field and Stream Magazine, June 1971, page 150. William Hillcourt, “Your Hiking Pals”, Boy’s Life Magazine, October 1947, page 11. “I’m happy when I’m hiking, pack upon my back, I’m happy when I’m hiking off the beaten track…”, an old Boy Scout tune. Where have I been? Water for everyone.